In a perfect shot of espresso, the "crema" is the beautiful top layer. It's the part you see first, and it entices you and draws you in. We can help make your marketing like that crema to your customers! Crema was tasked to revamp the Country Pleasin site to allow them to sell sausage, spices, and sauces online. 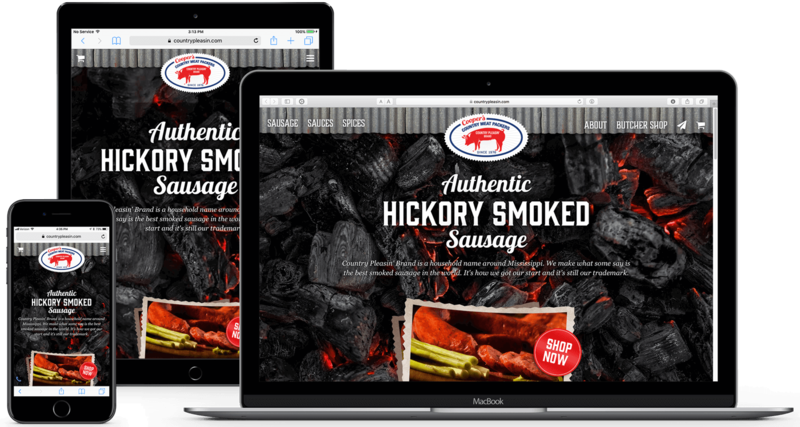 We took their rustic outdoorsy style to heart and developed a responsive website with vivid imagery of delicious homestyle sausage. A love of coffee inspired the name of a design studio! What does coffee have to do with design? The word "crema" refers to the top layer of a fresh shot of espresso. When a shot of espresso is extracted, you can look at that top layer (the crema) and immediately make several assumptions about the flavor. Instantly you can discern if that coffee is bitter, weak, or just right! Your company's marketing is much like that crema. The public makes many assumptions of your company based off the image you project. Even if your company is awesome, you may get to prove it if your "crema" is bad! The point of good marketing is to (a) make people aware of your company, (b) leave a positive lasting impression about your company, and (c) make your company more profitable. Our goal is to help customers better present themselves and their message to the public. The bottom line is we're here to help make your business more attractive, more memorable, and more profitable! You can consider Crema to be the happy medium between full-blown, high-dollar agencies and those often unpredictable freelancers. We can give you a quote on an individual project, like a logo or web site, or we can structure an affordable monthly flat-rate package to handle all your marketing needs. We believe in exceptional service at an affordable price. 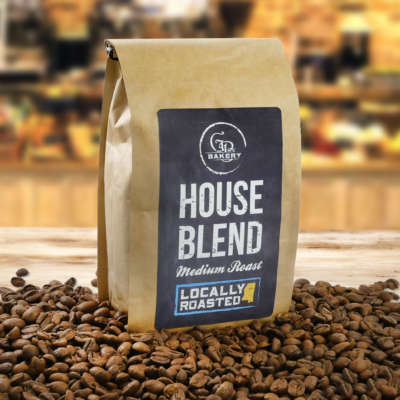 We have first-hand experience running a customer-focused retail business (Fusion Coffeehouse), so we know how important customer service is. We're well-versed in all the design tools and are ALWAYS learning. We've designed websites (including eCommerce sites), brochures, billboards, logos, trade-show displays, vehicle wraps, and more. In a world of shrinking attention spans, some customers just won't take the time to read all about your product or service. But a brief, punchy "explainer" video may be the right tool to get your point across in 60 seconds or less! We do our own illustrations and animation right here in-house, so your video will truly be one-of-a-kind. Everyone knows you should have a presence in social media, right? But few business owners or managers have the time to constantly manage a Facebook page, a Twitter feed, online review sites, and more. Our monthly flat-rate packages cover all of that and more.